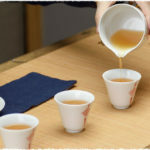 There is a common saying “drink Spring tea for liquor texture and drink Autumn tea for fragrance”. 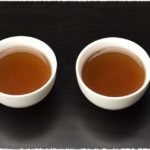 This means that spring tea gives a very delicate and tender taste while autumn tea gives a better flavor. 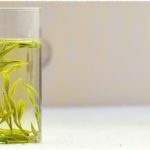 As one of the three common types of Tie Guan Yin tea, The Old Tie Guan Yin has lots of funs both for its scarcity and health benefits. Tie Guan Yin Tea is one of the best kinds of Oolong tea, not to mention the organic Tie Guan Yin with superior quality. To produce high quality organic Tie Guan Yin, a strict standard of the tea tree specie, the organic tea garden and the tea farmers is required. Highly qualified tie guan yin Tie Guan Yin has mellow taste and elegant orchid aroma, as well as good benefits for our health. The typical Chinese Oolong Tea – Tie Guan Yin Tea is one of the most famous Chinese teas all over the world. Tie Guan Yin is also known as Iron Goddess Mercy Tea or Iron Goddess Tea which is the English Translation of Tie Guan Yin. Tie Guan Yin is the most famous Chinese tea which is the tastiest and rare tea in the world. The term Tie Guan Yin means “Iron Goddess of Mercy” and sometimes referred as Iron Goddess Tea. This famous tea belongs to Oolong Tea family. Tie Guan Yin, the half-fermented Oolong family tea is one of most popular premium class Chinese tea. The best quality Tie Guan Yin tea leaf seems fresh and stiff like some dragonfly with its forest green color and smells awesome like some orchid.